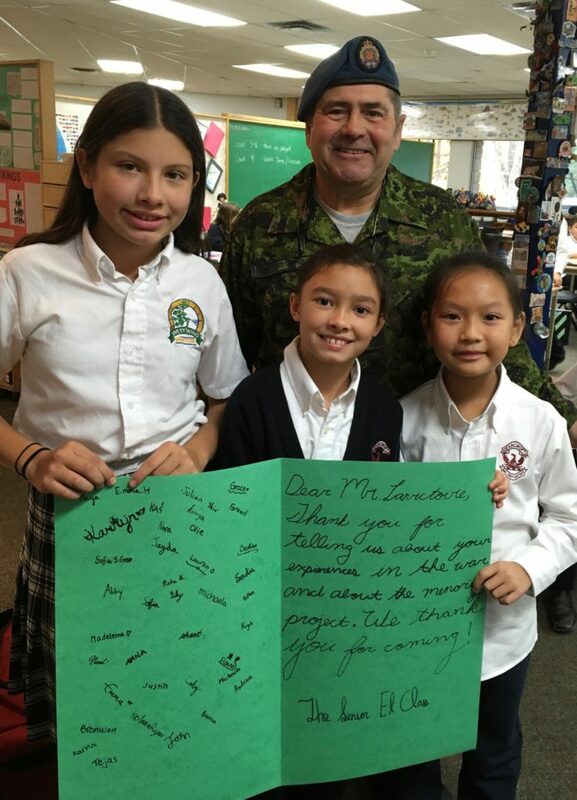 Dearcroft staff and students would like to express our sincere appreciation to retired Master Warrant Officer Jean Marc Lavictoire for taking the time to be with our students last week. 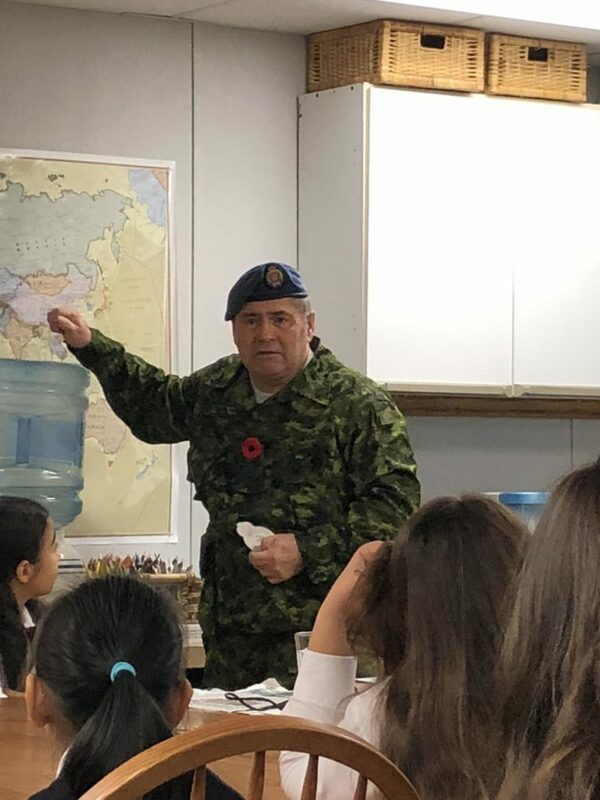 Mr. Lavictoire visited with students to share his experience in the Canadian Armed Forces and the importance of remembrance. 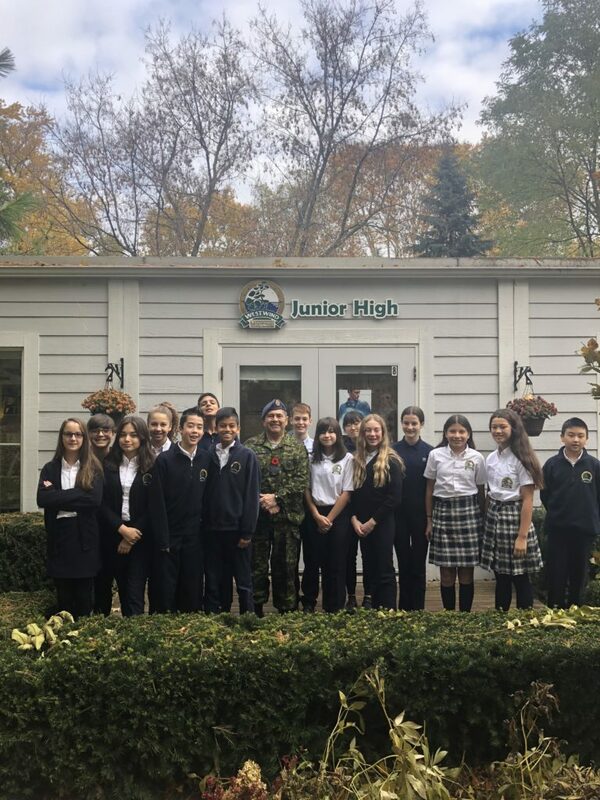 Older students gained insight into some of his varied experiences both on and off the field, ranging from Peacekeeping to coordinating services for injured soldiers. They were left with a message that every action has a consequence. Younger students appreciated light chats with this “hero” as well as a chance to share a hug with someone who has sacrificed for our country. Thank you for taking the time to bring your experience to another generation!